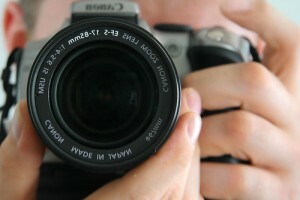 Since the invention of digital cameras there has been a debate about whether the digital or film photography is better. There are differences between them, but the fact is they both have drawbacks and advantages. Better and more practical ISO settings are one of the advantages of digital photography. In film photography ISO was measured in numbers and served as indication of a film’s sensitivity to light – the higher the number, the higher sensitivity. But, we can see ISO settings in digital cameras also and the question is – what is ISO in digital photography? The same principle as in film photography, just what is measured is sensitivity of a film, but the image sensor.In film photography, if the photographer wanted to change the ISO settings, he/she had to change the film itself. Not very convenient, especially if the photos had to be taken very quickly. Digital photography allows users to change ISO settings very easily even for each individual shot. Also, digital cameras are capable of much higher ISO numbers and therefore more useful for taking photographs in low light situations – indoors or at night. Sometimes, photographer can use flash, but churches and art galleries, for example, usually have strict rules and using a flash is forbidden. Concerts and indoor sports are also low light situations, plus subjects are usually moving very fast, so very high ISO is recommended. General tips for ISO settings are to use an ISO 1600 for night (or any low light) shots and ISO 100 or 200 for sunny outdoors photos. Anything in between (evening time, overcast sky, snowy or rainy days) requires using ISO within the range of 400 to 800. ISO is considered to be very important aspect of digital photography and therefore it is very useful to understand it in order to gain more control over any digital camera. Just try different settings, experiment and have fun and you will see how they impact your images.